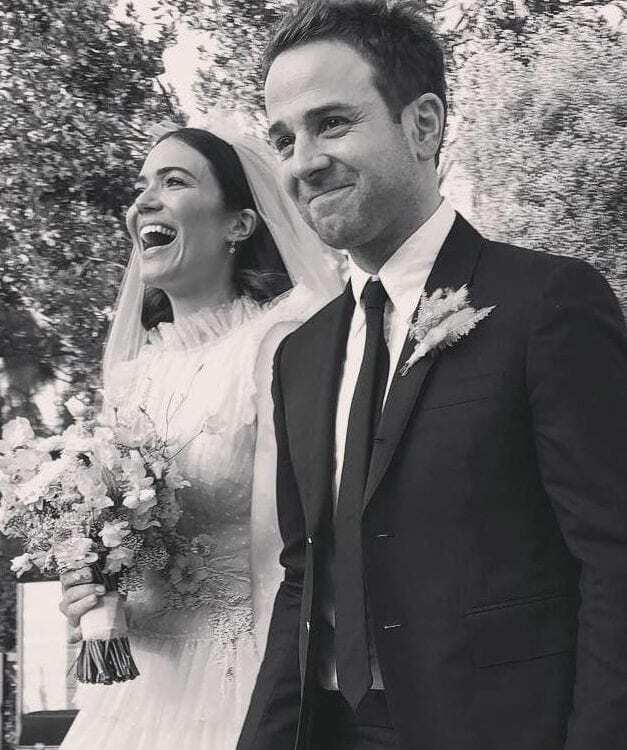 On a blissful November weekend in Los Angeles, Mandy Moore married the man of her dreams, Taylor Goldsmith, and it was not long until the happy couple shared photos of the wedding on social media. Earlier this year, the This Is Us actress spilled some details that she would not be wearing a “stereotypical white wedding dress.” Perhaps this was due to her having been married once before to Ryan Adams, or it is simply due to the fact she has transitioned from elegant to edgy in the past years. 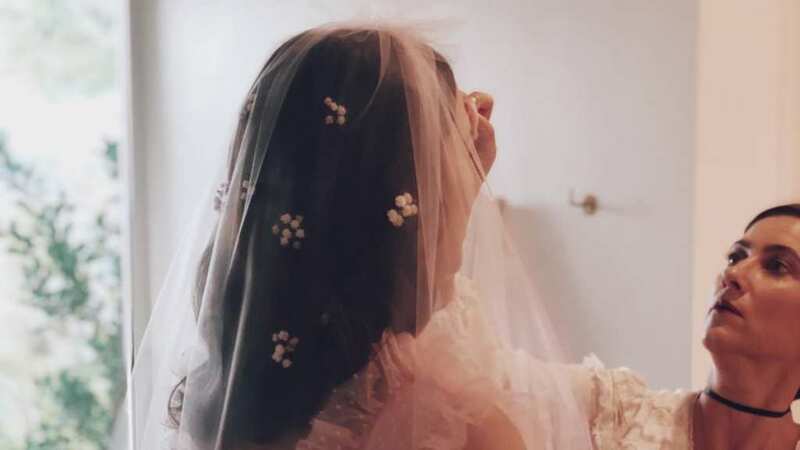 The beautiful actress complemented her pink wedding dress with a like-colored veil with floral embroidery, rosy cheeks, and sparkling pink eyeshadow. As she walked you could catch a glimpse of her blush satin shoes with crystal buckle. 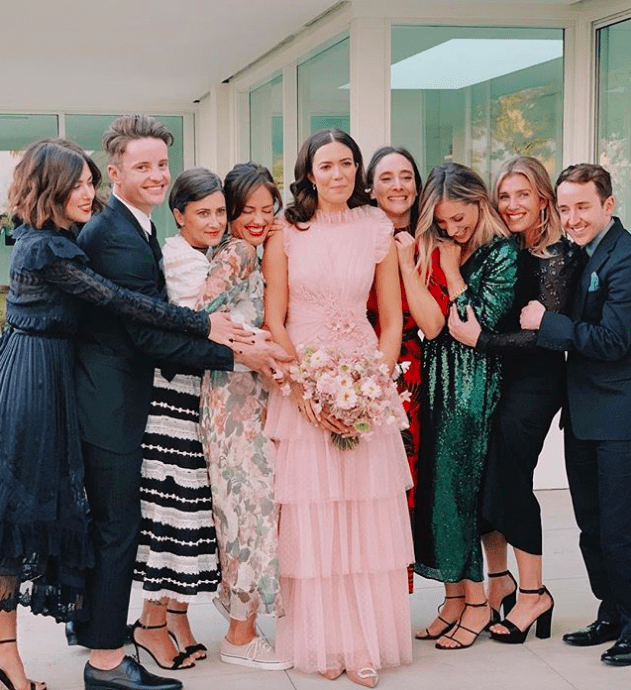 Like many other brides, a few days after the wedding Moore posted black and white photos of her wedding to Instagram, making it less obvious that she had opted for a less traditional gown. Although the look was originally posted in color by Moore’s makeup artist, she has since removed it from her feed. Over the past weekend, Moore has continued to post snaps of her special day. It was an intimate wedding with an average of around 50 guests. But a Moore wedding would not be the same without her This is Us co-stars Sterling K. Brown, Milo Ventimiglia, and Christy Metz, along with Minka Kelly and Wilmer Valderrama who attended. Moore’s dress was from Rodarte and she worked closely with Laura and Kate Mulleavy to create a riff on one of the brand’s Spring 2019 designs. This was not the only time she has worked with the duo as they have previously designed some of her standout red carpet gowns, most notably for the 2018 Emmy Awards. 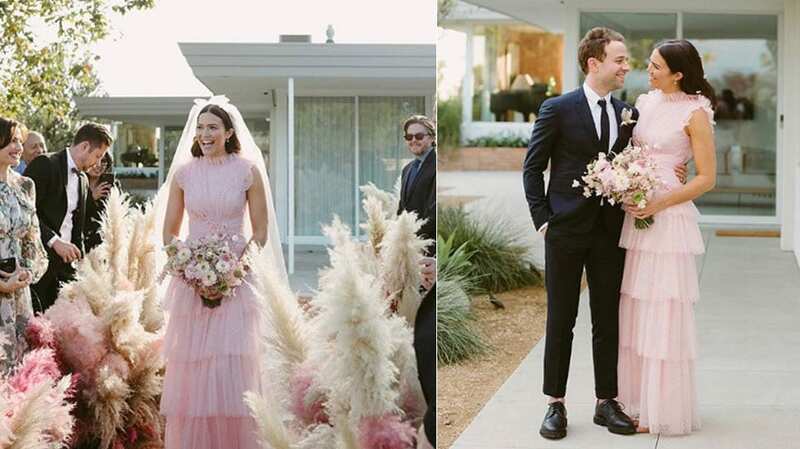 Rather than the original blush and black gown, the Rodarte designers created a tonal all-pink dress just for the actress. After seeing many traditional gowns over the past year, especially with the royal weddings, it makes a great change to welcome this fashion-forward, untraditional gown.